Collectors and fans of the work of Mark Dorf are invited to support the funding of a beautifully produced monograph by the artist titled TRANSLATIONS in exchange for rewards including pre-sale copies of the book, limited edition prints and a digital edition from Sedition. Published by Aint-Bad, TRANSLATIONS features the visual outcome of Dorf’s recent research in the form of two photographic series, //_PATH and Emergence. The works presented in the book continue Dorf’s research into the relationship between nature and the digital. Networked culture, via new media and data collection, connects people in more and more complex and divergent ways; Dorf’s work reflects on the ubiquity and instability of this process by relating it to another complex, ubiquitous influence on the way we live: the natural landscape. Both series displayed in the book reflect on how the quantification of sensory experiences is used to make sense of - and build - the world. The //_PATH series, shot in the US, thinks through the way we navigate and filter nuances through digital devices. Emergence was shot during the artist’s residency at the Rocky Mountain Biological Research Lab and examines the process of scientific data collection as a means of communicating complex events. 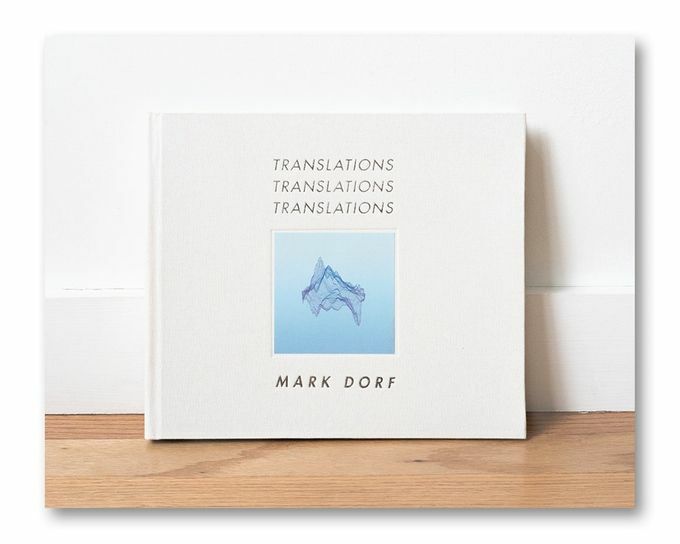 Mark Dorf worked closely with publishers Aint-Bad to develop TRANSLATIONS, meaning the artist could retain a high degree of control over the finish; the book is designed to be both a record of the artist’s research and a beautiful object in its own right. Printed in an edition of 450, the publication features 30 colour plates and an essay by Jonathan Blaustein, contributor to the New York Times Lens Blog, and is bound with a hardcover wrapped in white linen with silver debossed detail. TRANSLATIONS has been fully designed and is ready to be sent to press in time for its launch at the New York Art Book Fair in September. Until 11 August, Mark Dorf is crowdfunding the final costs of producing the book on Kickstarter. Back the project and receive rewards including a Sedition digital edition of the artist’s work, //_path-untitled9 for pledges of $15 or more.